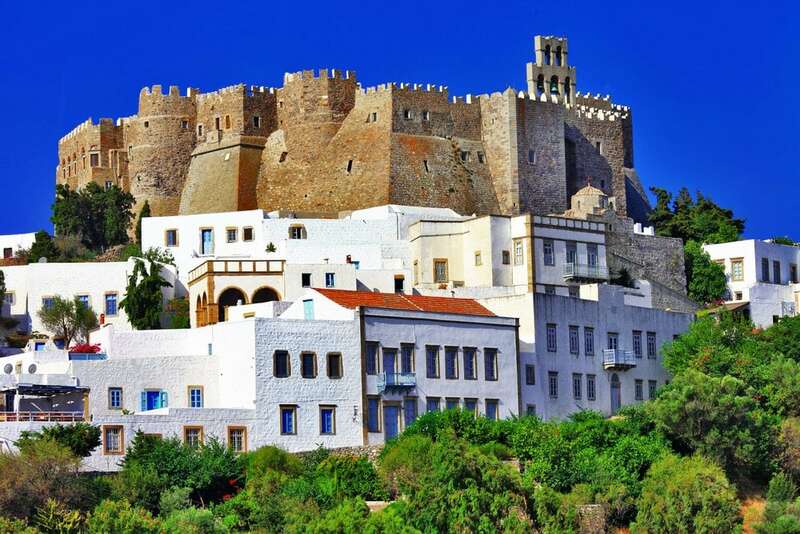 Patmos, the island of Apocalypse or Jerusalem of the Aegean, as it is called, is one of the most important religious destinations worldwide and a UNESCO World Heritage Site. It is known as the holy island of the Dodecanese, where John the Evangelist lived in exile and wrote the Apocalypse, the last book of the New Testament. The famous monastery was founded in the 11th century and was fortified to protect the inhabitants from pirate raids. 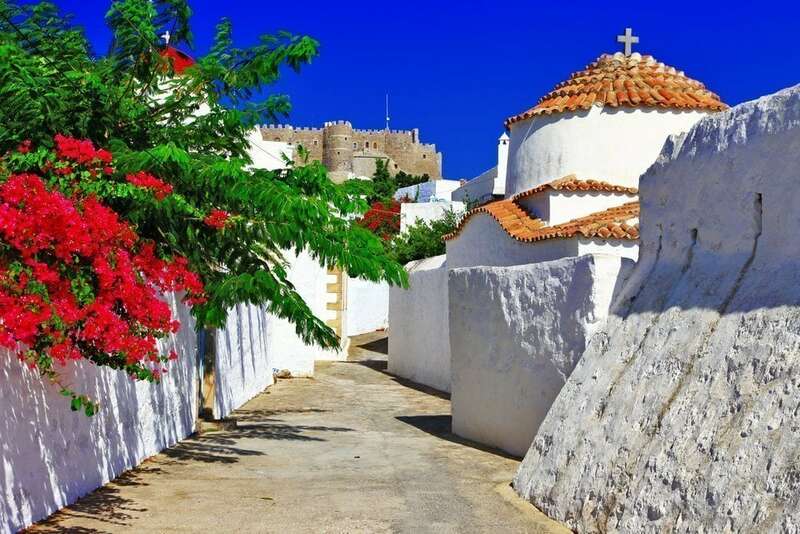 Chora, the capital of the island, is built around the old monastery and features some of the most beautiful mansions and alleys, in the traditional white color of the Greek islands. Skala, the port of Patmos, is 4.5 km away with a direct connection to Piraeus port. Easily accessible by boat are the beautiful small nearby islands of Lipsi, Arki and Marathos. 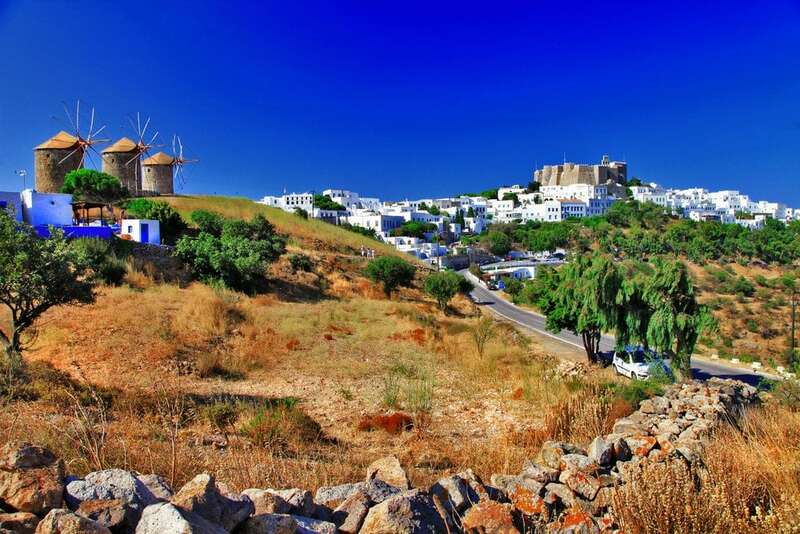 Patmos combines a rich cultural tradition with an idyllic landscape, a unique natural beauty, with lovely bays and beaches offering an ideal scenery for peaceful and relaxing vacations. Among the most beautiful beaches of the island are Kampos, Vagia, Agriolivados, Meloi and Lambis bay with colorful pebbles. In the southeastern part of the island, there is also the picturesque village of Grikos, built in a beautiful location on the bay, which has evolved into a modern seaside resort. Thanks to its unique beauty and its cosmopolitan allure, the island has become one of the favorite destinations of many well-known artists, celebrities and shipowners in the recent years.